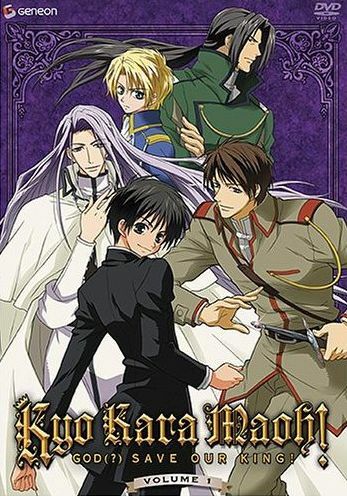 Kyo Kara Maoh(alternate spelling) Starting Today I'm the Demon King! The above info came from Deal, and was edited by yours truly (contact me). The image came from Amazon. Kyou Kara Maoh is basically about a 15 year old boy named Yuuri who, one day after trying to save his friend from some bullies, got stuck with them and they turned end up trying to give him a SWIRLY! Fortunately, Yuuri got transported to another world to find that he became the Maoh (Demon King) of the land because of how he has dark eyes, dark hair, and he's wearing his school uniform. Well, while he's there he meets lots of weird people and also somehow he gets engaged to a GUY! But somehow i think thats the least of his worries. 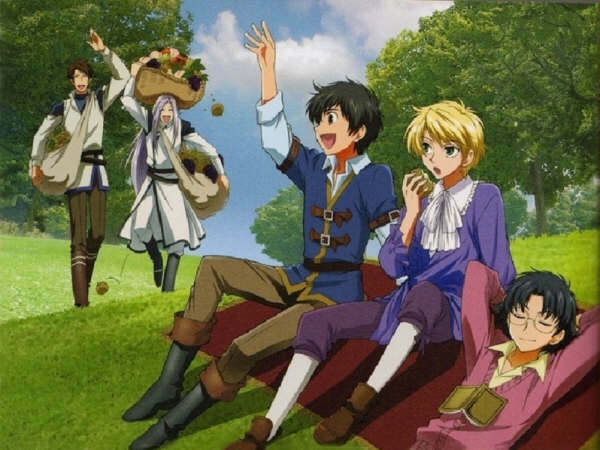 Well, anyway, this is sorta a shonen-ai (gay romance) so if don't like DON'T WATCH! The above description came from Deal, and was edited by yours truly (contact me). 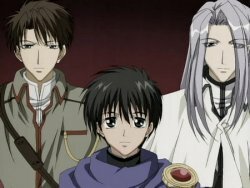 Kyo Kara Maoh (or God(?) Save Our King! in the U.S.) is a shounen series about a 15 year old high school student named Yuri Shibuya. He considers himself a normal boy who loves baseball. Then, one day when he sees Ken Murata, an old classmate, being bullied, Yuri steps up and saves Ken, but as a result ends up being taken to the girls restroom and flushed down a toilet bowl into another world. He was then informed that he was suppose to be throned as the new Maoh (Demon King). Now, he must save this world from war and create peace and harmony between Mazuko (Demons) and Humans. The above description came from Keil Yrensil, and was edited by yours truly (contact me).